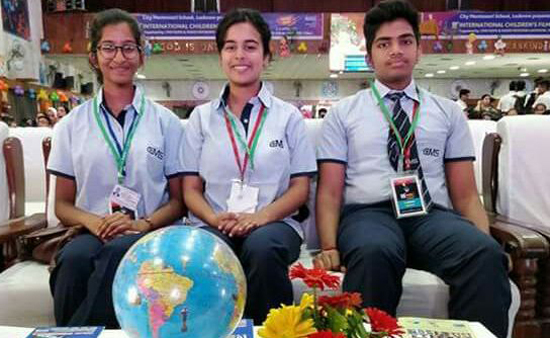 In this holistic programme organised by CMS, three young Jury members Ritika Srivastava, D.Shriram and Shrestha Singh of class X from Kanpur Road Campus were invited to judge a whole gamut of feature films, short films, feature animations, animation short and documentaries procured for entertainment. This festival aims at providing a common platform for proper development of children’s potential through meaningful films; and also for promoting friendship and cooperation among the people of the world. 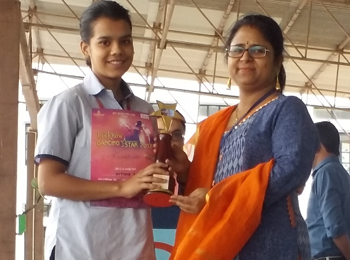 Attisha Saxena (IX_ C) of CMS Kanpur Road Campus rocked the silver screen during a dance competition organised by singer Anurag Shah and JPS Talent Hub at Sangeet Natya Academy ,Gomti Nagar on 26th April 2018.In this state level competition Attisha won the 1st position in senior category and was awarded a certificate, a trophy and a cash prize of Rs. 5000/-. 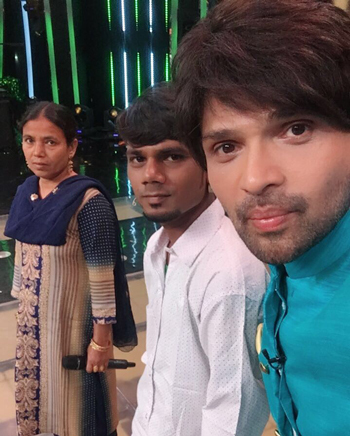 National bravery award winner Riyaz Ahmad who passed his ISC examination this year was honoured on ZEE TV in a special episode of a music reality show, Saregamapa Little Champs. He was felicitated by the celebrity judges including Himesh Reshammiya, Neha Kakkar and Javed Ali. 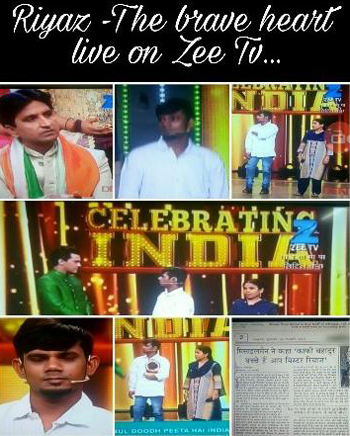 Kumar Vishwas was also present on the occasion. 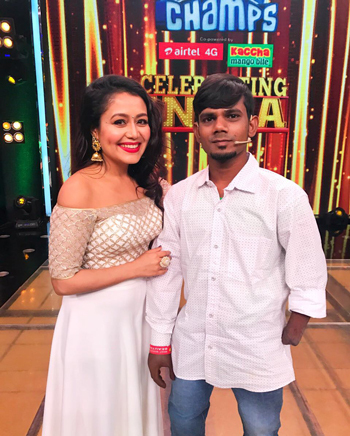 He narrated the horrific experience when he lost one leg and two hands in trying to save an infant from being run over by a train. The braveheart was honoured amidst a standing ovation. He writes with his toes and passed his ISC examination this year with the help of writers provided for him as per Council provisions. CMS Kanpur Road teachers provided all possible care and guidance to him.He is sure to make a mark for himself in the world by dint of his determination and diligence. 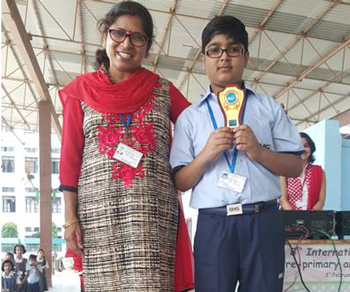 Akshit Tahlani 0f class 6 of CMS Kanpur Road bagged a trophy in LAMP FIESTA organized in Gomti Nagar for coming 2nd. The melodious tune he played which enthralled the audience was ‘MERI MAA”. 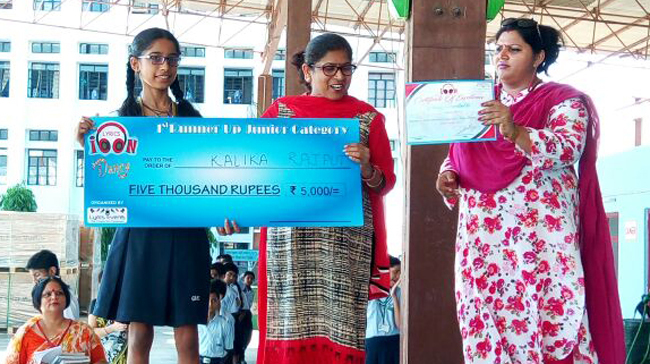 Kalika Rajput of Class VII D - CMS Kanpur Road (Junior Section) was 1st Runner up in Junior Category of Dance Competition organised by ICON LYRICS.She won a cash prize of Rs.5000.